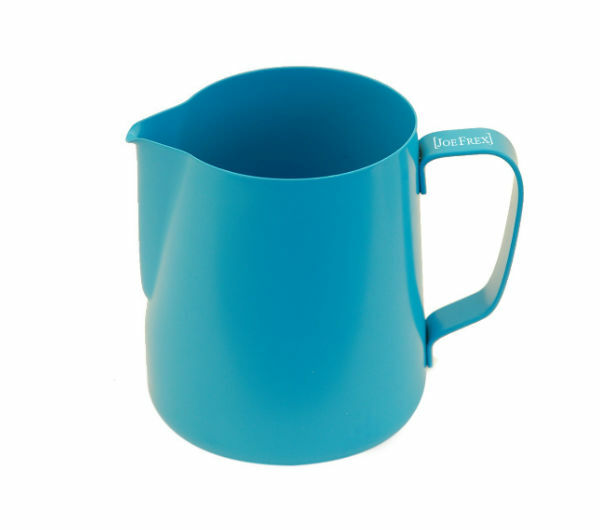 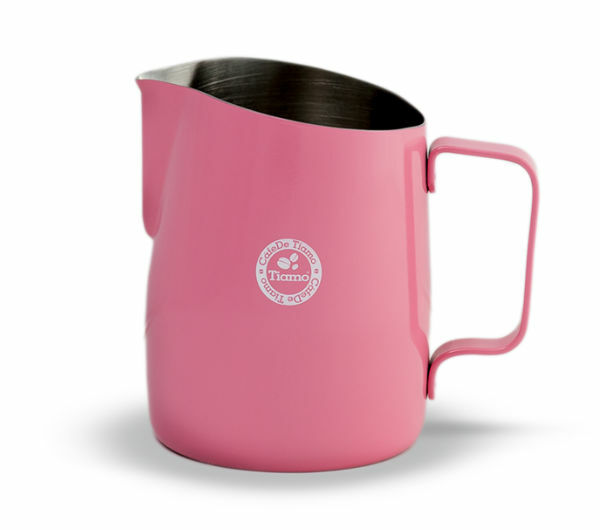 The Tiamo Handleless pitcher allows baristas increased flexi-bility when steaming milk and creating latte art. 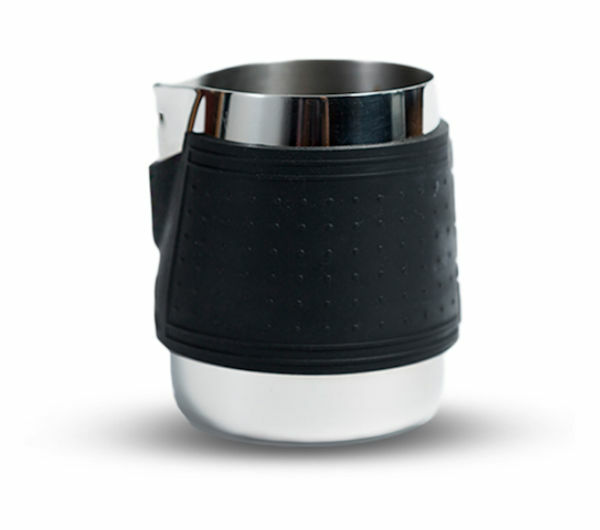 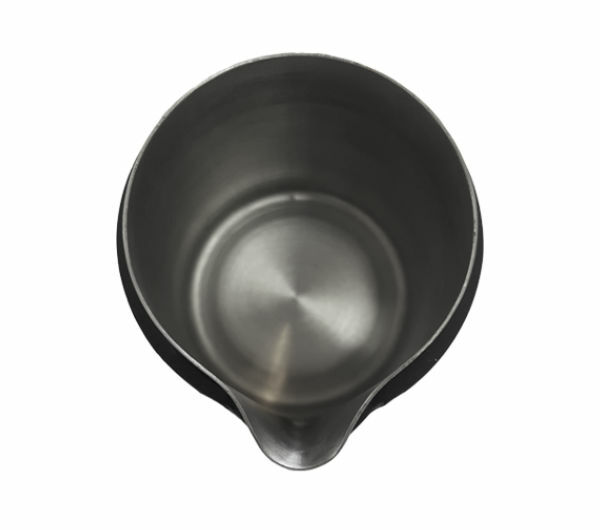 This tough stainless steel tapered latte art pitcher features a handle free design which allows for an improved grip as well as precision pouring. 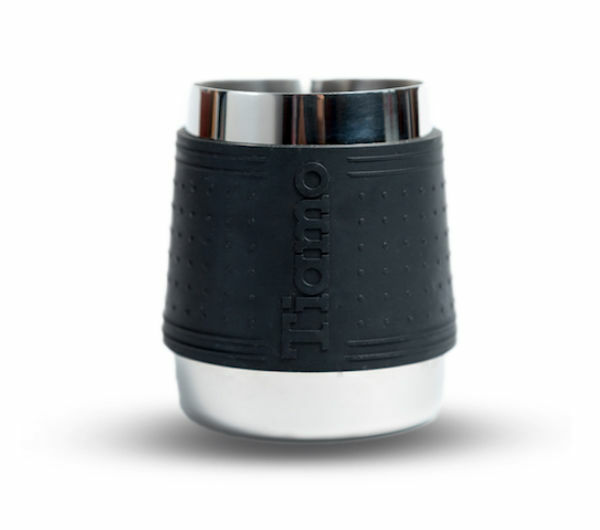 An insulated wrap protects hands from heat when steaming. 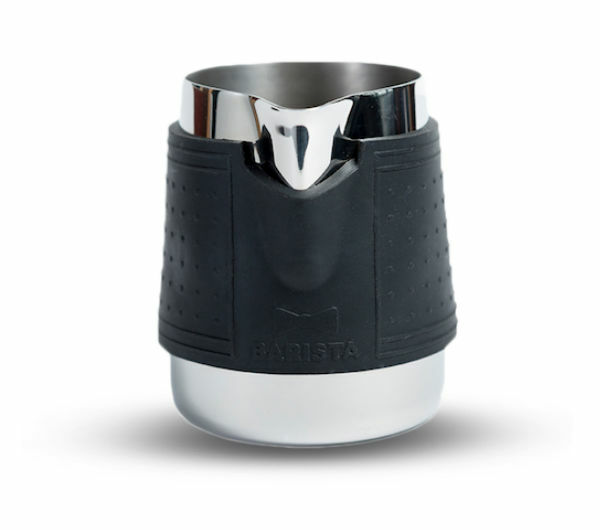 The combination of a handlefree design and extended, narrow pour spout make this item the most versatile tapered latte art pitcher available.